"Explore! Find out what you're interested in and get involved…By being curious and taking risks, you'll eventually learn to let all your expectations go and just really delve into something interesting and new." "My mom is a Miami alum, and a lot of kids from my high school attend Miami, so Miami was always on my list. When I first visited in June, it was hot and sticky, but when I came back in January there was snow and the campus was absolutely gorgeous. I stopped through King Library, which is one of my favorite spots on campus to this day, and everything just felt so right. "I was a huge science nerd in high school, interested in environmental science, chemistry, biology, and so on from a law and social science perspective. I started at Miami thinking of getting a BA in chemistry and going to law school, but I ended up taking some media and culture courses and absolutely loved them. I also took an American studies course [AMS 205 - Introduction to American Cultures] with professor Peggy Shaffer about the culture of America in the context of food. I had never seen that approach and looking at America through the foods that we eat really clicked for me! "I love writing and have always been a writer. By the second semester of my freshman year, I was pretty set on being a strategic communication major, which matches writing with connecting with people. My interests soon fell into the realm of PR and advertising, which is ultimately where I hope to go." 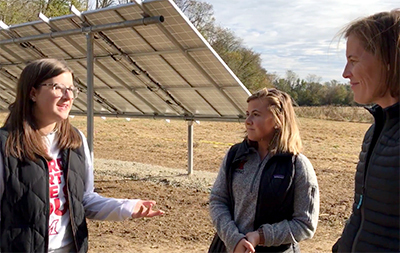 Olivia Herron (left) discusses strategy with Sarah Porter and Dr. Shaffer at the Institute for Food farm. "Professor Shaffer has been my rock at Miami these past 4 years. After I took AMS 205 and 206 [Approaches to American Culture], she helped me create my American studies concentration in food and consumerism. I love reading about food trends in The Wall Street Journal every day to see how they're changing and how big food companies are acquiring or merging with smaller more localized brands to help create a larger market and appeal to millenials. "People in my age demographic want less name brands. As consumers, we want something that's unique, socially and environmentally responsible, organic, healthy, and local. Down the road I'd like to be involved in advertising and branding for a large food company and then take my passion for locally sourced organic food and help that make a larger impact in the business world. Overconsumption leads to a multitude of detrimental effects on our environment, so I believe that we can participate in mass consumption more responsibly. "I took an American studies class with associate professor Sandra Garner, who was tough but made me a better writer. Additionally, she taught me how to be a better communicator, which really helped show where my skills had developed. Assistant professor Carolyn Hardin taught one of my strategic communication courses that overlapped with my American studies concentration, where we looked at American consumerism from different perspectives. 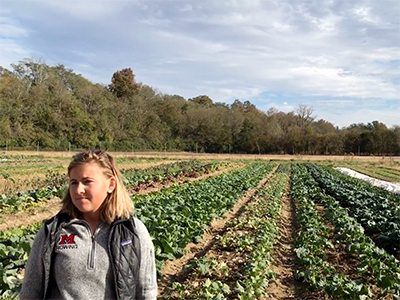 "Since the start of my junior year, I've done a lot of hands-on work at Miami's Institute for Food, which is based on a farm north of campus. I've helped with planting, harvesting, and transferring vegetables from the greenhouse to the garden beds. Eventually my role grew to become an advocate for the Institute for Food and sustainable, organic agriculture. I often talk about the Institute's community-supported agriculture (CSA) program and how we're looking to work along with Miami Dining Services and various restaurants Uptown." "Many of my friends who have business-related majors are narrowly focused on their careers, but as a liberal arts major I've taken many different classes covering all kinds of topics. They often challenge your ideals and viewpoints and help you look at the whole picture. 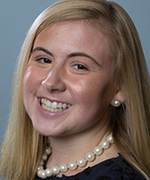 "I think it's important to look at why you're doing a project in order to find the best approach, and my majors in American studies and strategic communication have definitely prepared me for the future by focusing on writing, thinking critically, asking questions, improving people skills, and being curious. Teamwork has been essential throughout my experience at Miami. "American studies is fun because you get to learn about pop culture and food and, for my capstone, tourism. Strat comm is slightly more concrete in teaching you to create PR plans and working with a real client. This business side merges well with the more abstract elements of American studies. "Two of my favorite classes have been Food in History [HST 238], where we started from hunter-gathering and ended with the diet industry and body image, and Introduction to Food Systems and Food Studies [AMS/IES 278], which focused on learning the reasons behind various agricultural techniques like greenhouses vs. the ground, proper nutrient levels for plant growth, experiments with fertilizers, and so on. These classes made me think about the ebbs and flows of consumer trends and how people viewed food since the industrialization period of the early 20th century until now." Sarah Porter stands in front of rows of fall vegetables at the Institute for Food farm. "When I was a second semester sophomore, I was exploring ideas for my American Studies concentration and found myself at a crossroads. I went and saw Peggy Shaffer, who told me about the Institute for Food and how it got started. The CSA was already in place, where people pay a flat fee at the beginning of the season and receive a box of whatever's ready each week, and I was intrigued. "What further motivated me to get involved was my experience as an intern that summer with a nonprofit farmers' market in my hometown of Lake Forest, Illinois. I worked in an organic garden on a 19th century Amish farm called Elawa Farm during their centennial celebration. This experience made me more interested in the dirty, hands-on work, so by the start of the fall 2017 semester I felt a lot more comfortable continuing that kind of activity at the Institute for Food's farm. "The farm is almost entirely student-run, with Peggy serving as our advisor. We have both graduate students and undergraduate students working there in the fall and spring, and we grow everything from kale and kohlrabi to peppers to radishes — all the regular staples plus a few other items. Our produce supports the Institute's CSA program and supplies many of Miami's dining halls and several Oxford businesses. "During the fall, I work at the farm most Friday mornings for two hours, mostly doing harvesting and planting. Having been on the PR side of the Institute and now working on its production, I now was seeing two different ends of the spectrum. We also collaborated with other campus green organizations to promote the idea of sustainable food. We've done lectures in Shideler, held club meetings, and held events such as for Earth Day. Our basic mission is to talk to other suppliers, build relationships, and get the word out about organics and sustainable food and why they're so important. "All of this came from designing a food-based concentration for my American Studies major. I've now taken many interdisciplinary classes about food, sustainability, history, consumerism, and other topics. My interests in sustainable organic food trends and startups has led me to reading about Big Food mergers and acquisitions. The experience has taught me a lot about business, so I've gained a much better understanding of how the corporate world works!" "Explore! Find out what you're interested in and get involved. 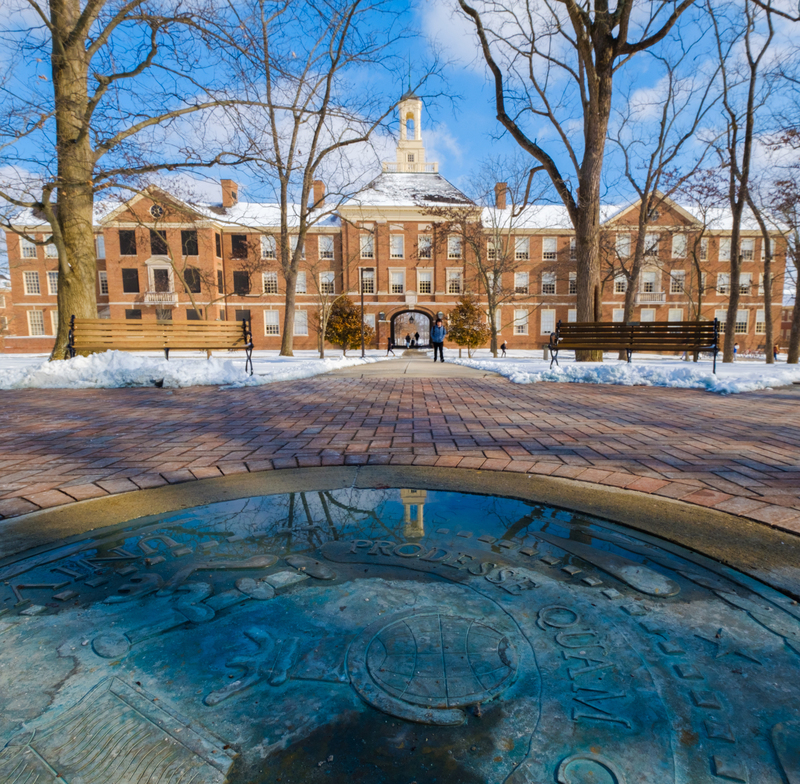 There are so many organizations on campus that have a relationship with food, energy, and sustainability, and you can get involved in responsible trading and helping to implement a green sustainable policy at Miami. Your classes and organizations will help shape your interest. "By being curious and taking risks, you'll eventually learn to let all your expectations go and just really delve into something interesting and new. Some of your ideas and interests may seem weird at first, but ultimately mine have helped me create a chain of classes and experiences that are really going to be useful to me in the future."